Many treatments for an active flea infestation require a bath. 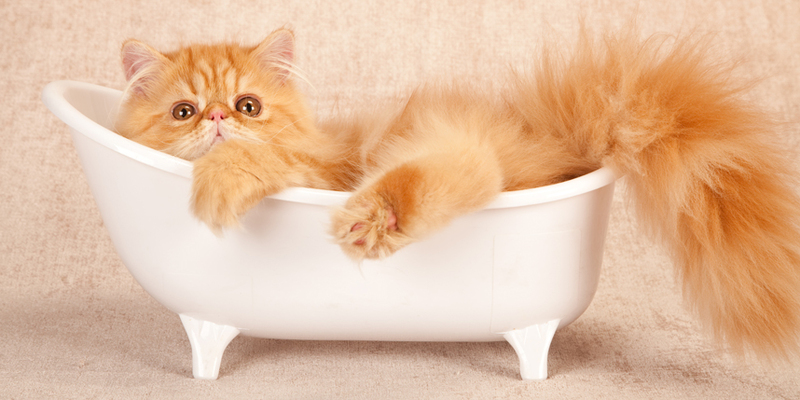 Litter box mishaps, crate accidents or messy mischief might mean you have to give your cat a bath. 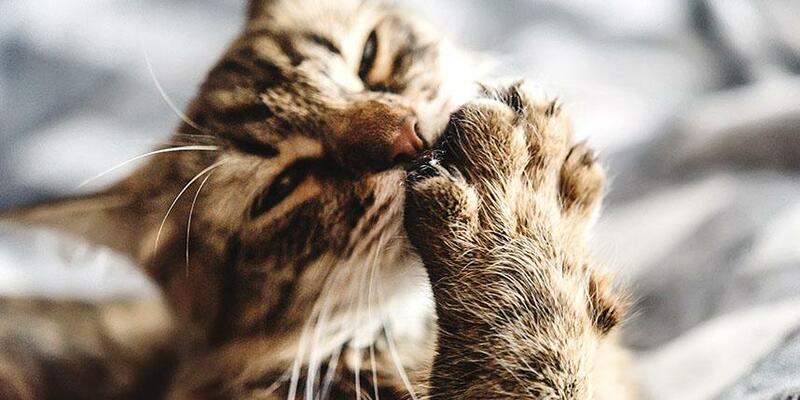 Sick or elderly cats may lose the ability to keep themselves clean. Many cat rescue shelters rely on experienced cat parents who generously donate their time. Make a call to your local shelter and ask what you can do to help. 1. Get your supplies ready. Fill a sink or tub with a few inches of lukewarm (not hot!) water. You may find that it’s easier to handle your cat in a sink, so you don’t have to bend over the edge of the tub. 3. Get your cat wet. Use the sprayer or pitcher to gently wet your cat, taking care to avoid the face and ears. Dilute the cat shampoo according to the instructions on the bottle, and gently work it into your cat’s fur. Again, avoid the face and ears. Use the sprayer or pitcher to rinse your cat. In general, holding the water source close to the cat and working on one small area at a time will help your cat feel more comfortable. Be thorough—any soap residue may lead to skin irritation. Use a washcloth with plain water to gently clean your cat’s face. Wrap your cat in a towel to absorb excess water. If your cat has long hair, use a comb to detangle. Some cats don’t mind a blow dryer on its lowest setting. Once your cat is clean and dry, it’s time for a treat and/or some snuggles. You’ve both earned it! 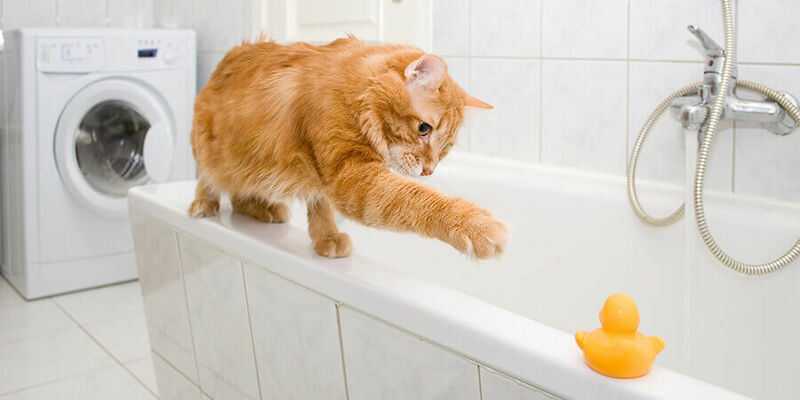 Your cat may never learn to love getting a bath, but these steps will help make giving a cat a bath as stress-free as possible. Have more tips for how to give a cat a bath? We’d love to hear them. Share your comments on this post!